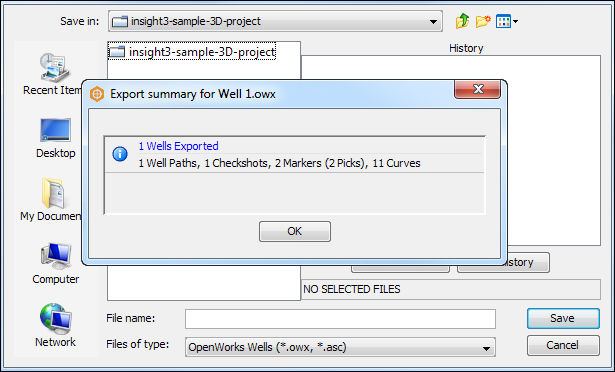 In addition to exporting traces, checkshots, deviations and markers individually, all well data can be bulk exported to OpenWorks (OWX or ASC) format. In the wells tree, right click the well to open the context menu. All data can be exported from one well, or multiple wells, at any one time. 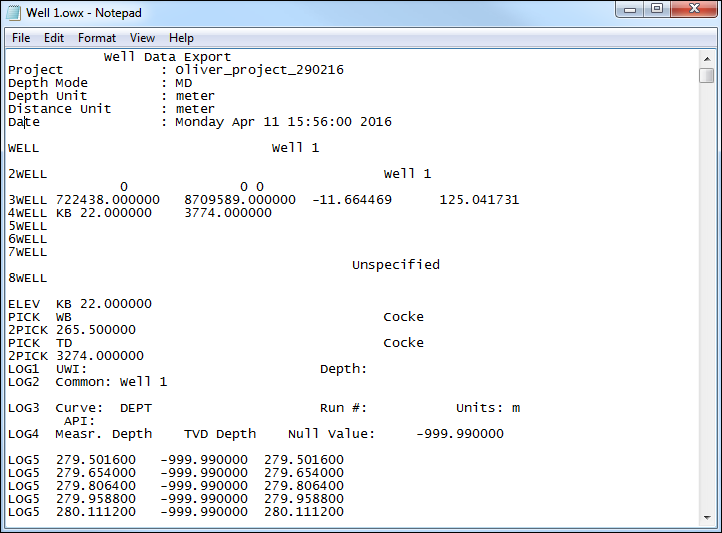 To export all data from multiple wells, select multiple wells. Click Export and select All data (OWX format). 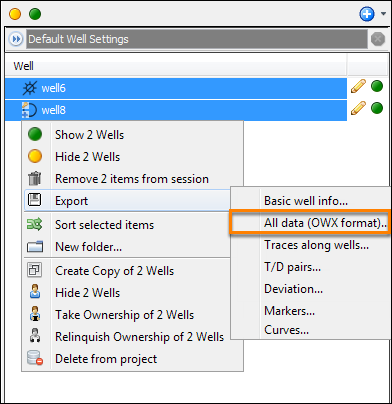 Browse to the directory where you want to save the well data and type a file name followed by the OWX or ASC extension. Click Save. An export summary will appear to tell you that the export has been successful.